Just in time to keep the kids entertained this holiday, Netflix has launched the first season of Turbo F.A.S.T. for streaming today. Based on the Dreamworks Animation film from this past summer, Turbo F.A.S.T. (Fast Action Stunt Team) carries on the story with with a new art style and storylines. All of the episodes are premiering today, just in time for all of the kids to be entertained as the adults do all of the cooking for the holidays, or for you to enjoy on your new tablets and streaming devices you receive tomorrow. There are only five episodes in this first season, but it’s a good start to Netflix expanding into more genres of original content. Check out the series summary and trailer below and get to racing. 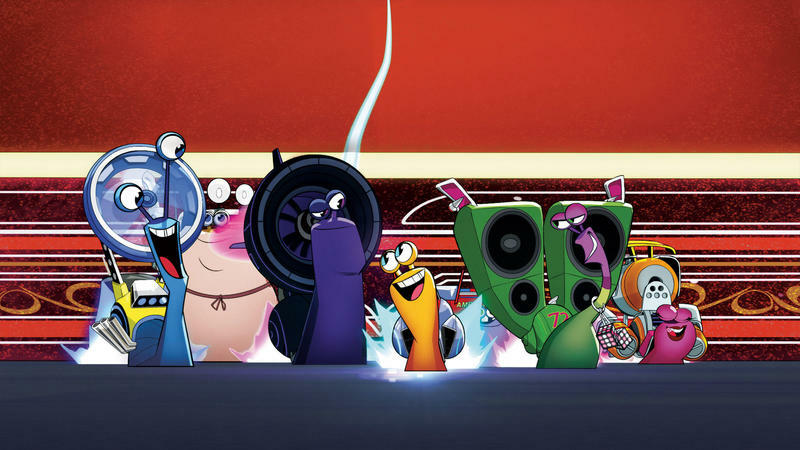 Turbo, Whiplash, Burn, Smoove Move, White Shadow, Skidmark and Chet are back in the first-ever Netflix original series for kids, DreamWorks’ Turbo FAST! Turbo FAST is a high-octane comedy that amps everything up to the extreme as Turbo and his adrenaline-fueled crew go on daring new adventures, race on the coolest tracks, and take on the craziest challengers. No matter how wild things get, these snails always have each other’s backs. All episodes streaming exclusively on Netflix December 24.